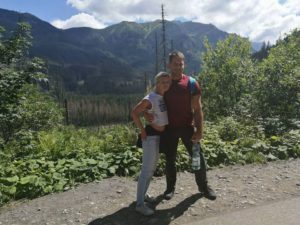 It was a long weekend with Monday and Tuesday off from work for Peter, so we decided to spend it in the Tatra mountains in Zakopane. 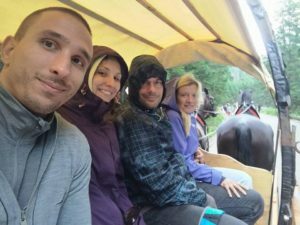 We planned the trip with a Hungarian couple we knew from Bydgoszcz, Daniel and Brigi. We agreed to meet them there on Saturday morning. I was looking forward to trying out the night train. 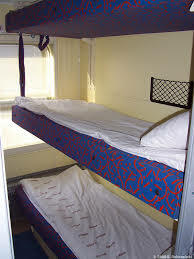 A second class sleeping cabin is called Kuszetka in Polish and they cost about twice as much as a regular second class seat on a train, and more than worth it if you are travelling at night. Unfortunately we ended up going by a night bus because even though we tried to book our train tickets 3 weeks in advanced, there were no spaces left. In Poland they let you buy any train ticket you want, but then they will come back to you in a day or to and tell you there are no tickets left, would you like to be refunded. So that was what happened to us, and it can be quite frustrating. We used a bus company called Leo Express, which was just as uncomfortable as I expected. 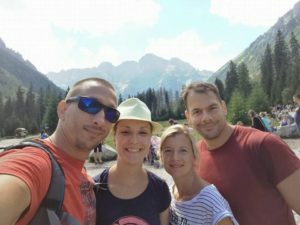 We booked a room in Villa Jesion with Brigi and Daniel through booking.com in a village near Zakopane. The place was tidy and well organised. In the room we had one double bed and two singles that we pushed together. Breakfast was included, and it was the best breakfast we’ve had so far in a Polish hotel. There were cereals, bread, cheese, ham, vegetables and some fruit, coffee and tea. Yum! Peter and me got to Zakopane early in the morning and we walked around the town while waiting for Brigi and Daniel to arrive. It’s quite a small town with a very Eastern European feel to it but they have made it very touristy with all the souvenir shops and markets, selling local cheeses and honey everywhere you go. There is a Costa, McDonalds (not that we went in there of course), and many restaurants with all kinds of food. The centre was starting to fill up with people as the day advanced and soon it was almost impossible to move. Brigi and Daniel got there around 11am with all the traffic jams, and we headed straight to lunch. 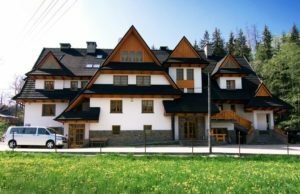 The next day we went to a spa close by called Bukovina Wellness. The tickets to get in were 69 zloty per person, plus 25 zloty if you wanted to use the sauna. There was an indoor and heated outdoor swimming pool and a canteen with a good selection of meals. We had a great time in the outdoor pool, it was quite cold outside and it felt real nice being in the steaming hot water. The sauna was very professional, they have 4 or 5 different saunas – a finnish sauna, 2 different steam rooms, infrared (which is the most beneficial of all), and an aromatherapy sauna. We were quite taken aback when we were told to take our swim suits off, people had to be naked in the sauna (with a towel wrapped around them if they wanted to). We spent almost 5 hours in spa and had a great time. The next day we realized just how much Polish people like their mountains. 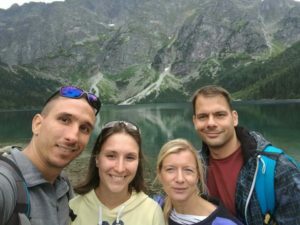 I think all the people from the whole Poland decided to go to Morskie Oko that day, along with us. It’s the most famous spot in Zakopane area. It translates to Sea Eye in English. It’s a lake in the mountains that everyone visits when they go to Zakopane. 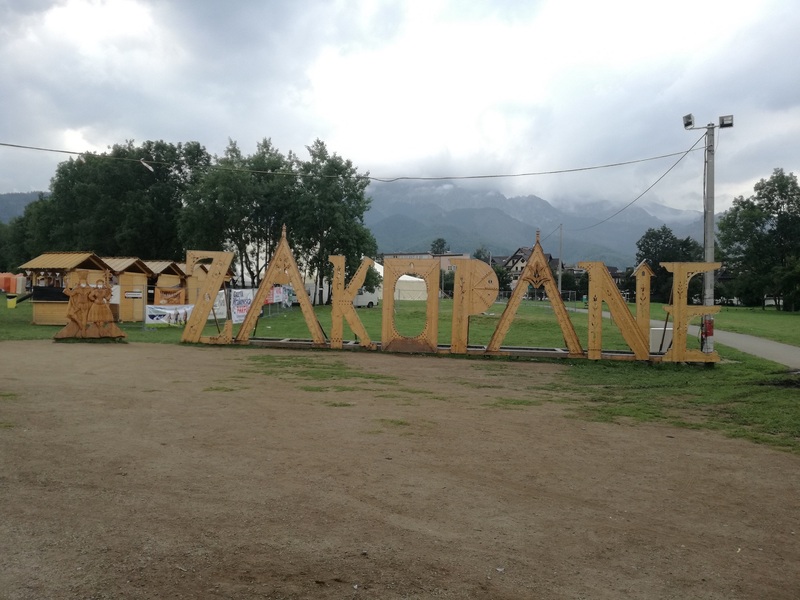 There is a 9km walk leading to the lake with a huge car park at the foot of the mountain. When we got there the car park was full, as well as the road leading to the car park. Cars were parking everywhere along the road to the car park. We had to drive back and park about 10km away. We got back to the car park by taxi. There was a ticket booth at the entrance and we had to pay 15zloty to start the 9km walk to the lake. It took us about 2 hours to get there, and it was just as amazing as in all the pictures. Beautifully calm and clear water playing in all kinds of colours surrounded by high mountains. There is a restaurant at the side of the lake, but it was so crowded that we didn’t attempt to order anything. We walked around the lake, although not all the way, that would have taken us about 1.5 hours. It was quite cold there as it’s high in the mountains so we didn’t want to spend that much time there. To get back down to the car park you can take a horse carriage, which we were also planning to do. To get on a horse carriage we had to wait in a line for about an hour because of the amount of people there. Each horse carriage could take 15 people and there were about 10 carriages. The fee for the ride was 30 zloty per person, which we were glad to pay because we didn’t feel like walking back the 9km. When we got to the car park we took a taxi to our car, and drove back to the hotel. The following day we took the train back, we started from Zakopane at 10am and got to Bydoszcz at 9:30pm. That was a long day and the train we were on was made in 1985, only 3 years younger than me! So the conclusion is, Zakopane is beautiful and really worth going. There is a lot to do, but make sure not to go on a bank holiday weekend as it will be unbelievably crowded. You can check for Polish bank holidays here. 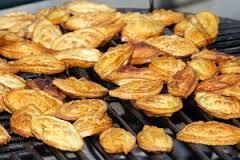 And least but not last try their grilled local cheese (serki góralskie) hot beer (gorace piwo).